Application: Apply to spraying all the kinds of light weight coherers, even is the dead angle. It also can apply to polishing, galling, rust cleaning, detail Finishing. This kind of lightweight spray machine can help you to save unnecessary surface material, such as oil paint, oil, and other stubborn spot. Fit for most Sandblast Cabinets. Gloves will fit most sand blasting cabinets. Width:25cm/10". Easy to use,very convenient. Color:Black&Green(As the pictures shows). FOR HITACHI NV90AG. Durable by High attainable hardness (HRC 58/60) driver blades. This is the latest upgraded and improved version of the Grease Coupler,2 handled grip made for comfort. Standard NPT 1/8” connector, simply replace your existing coupler;. Compatible with all grease gun models;. This is a professional air die grinder with high precision, practicality, long service life and wide application range. It is a multifunctional household and industrial pneumatic tool kit. 1 Air Die Grinder. Keyboard and Mouse. Tools & Repair Kits. Car Accessories. - 90 degree angle head allows flexibility in confined areas. Features: - Compact, lightweight design for easy maneuverability. - Lock-off throttle to prevent accidental start up. Quantity: 5pcs Quick Coupler set. 1 x Quick Coupler 1/4" NPT. Coupler Assures Easy Connection And Disconnection. Size(Quick Coupler): 45 20mm/1.77 0.79". Type: 1/4" NPT. 1 x Female Quick Plug 1/4" NPT. HVLP spray gun Devilbiss GFG professional car paint gun 1.3mm nozzle 600ml pot Paint supply mode: Gravity Nozzle diameter: 1.3mm We recommend spraying pressure (working pressure): 2.0-3.5 bar Recommend spraying distance: 150mm-250mm Spray width Length: about 250mm The amount of paint: 200-240ml / min Air consumption: 8.0-8.5 cfm Transmission efficiency (paint utilization): 65% -85% Watering can: 600ml plastic pots Air Connector: Universal G1 / 4 Application: automotive, auto maintenance, sheet metal, metal, furniture, plastics, construction. HITACHI NV83A, NV83A2. PART NO. 878-428. Quick coupler and plug are on air hose. 1 x Air Compressor Hose Quick Coupler. Fittings: 1/4" NPT. Good flexibility, anti-distortion. USA, Canada, United Kingdom, Austrilia, France, Germany, Spain, Ireland, Italy, Others. List: Grease Coupler 1. The nozzle\'s seal ring is made of conical rubber to ensure that the coupling will not leak, very sealed and durable. Grease goes IN, not ON the machine. No need to hold while greasing, Lock-on and free up both hands to operate your grease gun, Easy clip-off. High strength and hardness. Zinc plated for corrosion protection. Fast and easy to install. Durable in use. Canada, United Kingdom, Austrilia, France, Germany, Spain, Ireland, Italy, Others. 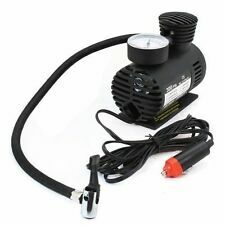 1 Car Inflator Hose. Lock on clip and rubber flexible air hose, which is safe and durable. Hose Length: Approx. 14.76"/375mm. Material: Rubber & Alloy. Note: The real color of the item may be slightly different from the pictures shown on website caused by many factors such as brightness of your monitor and light brightness. 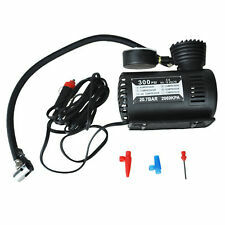 1pcs Inflatable pump nozzle. 3 detachable nozzles to cater for most types of inflatables. S-size mainly for inflate small inflatable toys and swimming ring, extract air from vacuum compression bags. Made of premium plastic, the adapter is sturdy and durable, a cost-effective product for you to choose. Trending at C $2.12eBay determines this price through a machine-learned model of the product's sale prices within the last 90 days. 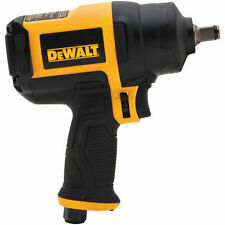 1 x PC-AT-3170 Micro Air Grinder. High-speed rotation, can adapt to high-speed precision machining. Cutting plastic, stone, wood, etc., grinding, polishing;. Sophisticated interior design, coreless vibration, can be a long operation. Grease Gun Coupler Locks on Like Air Chuck Fit SAE & Metric Zerk Fitting 1/8"
No-load Speed: 10000 (rpm). 1 x Polished Machine. Due to light and screen setting difference, the color of item may be slightly different from pictures. Air consumption: 0.34 m3/min. Air consumption is small, durable. Sleeves are PVC vinyl and gloves are constructed of rugged heavy weight neoprene material to outlast many of those other cabinet gloves. Absorbing sweat well. Sandblasting gloves and sleeves are cotton lined. Model: 555416. Color: Silver. We will try our best to reduce the risk of the custom duties. 2 x Junction Tubes. Push a dart into the blow tube, aim at the target, then blow it. 1 x Blow Pipe. Tube material: Plastic. 3-in-1 set, detachable and lightweight for easy carry, suitable for outdoor activities. Type: Car Tire Inflator. 1 Car tire inflator. Power Input: DC 12V. 3 Adaptors for inflatables. Otherwise deal is final. All products are quality checked. 1 English user manual. Material: ABS. Gagged tightly hold the small nozzle, if not closed, add water to make the water diffuse through the nozzle. At this point can trigger the trigger, hit the air flow, plugs in the pipeline should be followed by strong air washed away. The DCGG571B 20V MAX Lithium Ion Grease Gun has a powerful motor for pushing 5 oz per min of high-flow applications. DCGG571B 20V MAX GREASE GUN. SYSTEM - 20V MAX . 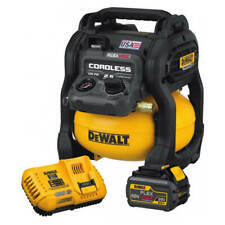 POWER TOOL TYPE - CORDLESS. 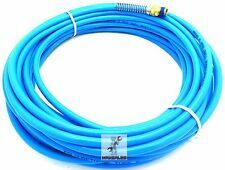 42" EXTRA LONG AND FLEXIBLE HOSE DESIGNED FOR REACHING HARD TO ACCESS GREASE FITTINGS. It does exactly what it’s supposed to do, pulls nails out of the wood. 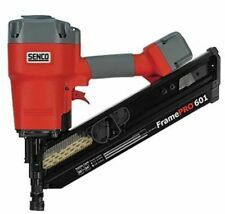 This is one powerhouse of a tool so you can throw any type of wood at it. Drive nails out of the work pieces quietly, efficiently and with precision while maintaining the integrity and quality of the wood. Pistol type design, convenient and easy to hold. 1 x Air Duster Gun. Strong wind blowing, low consumption and energy-saving. Working Pressure: 0.62mpa. If you do not receive our reply within 48 hours, pls. Heavy Duty Grease Gun 4500PSI Professional Pistol Grip Anodized Lubrication 14oz DESCRIPTION:. Stability: has good chemical stability, resistance to ageing, the ozone resistance. 1x Air compressor spring tube. Refractive index：1.480~1.510. Ultimate tensile stress：10.0MPa. Boiling point：170.6℃. Compact size: convenient to carry, do not occupy any extra space.Suitable for bicycle, car, motorcycle, tricycle, electric car tires, football, basketball, inflatable boat, air bed, balloon, etc.Easy to use, just plug into your car cigarette lighter for power, slip universal adapter over tire valve and be ready to inflateEquipped with 3 different nozzle adapters for inflating tires, pneumatic boats, swim rings or balls, etc.Power: 168WVoltage: DC 12V - 13.5VAmperage: 15 Amp ( max. )Flow: 27L/minPressure: 100PSILength of the inflating tube: 0.57mLength of the power wire ( not include cigar-lighter ): 2.75mProduct Size(L x W x H): 15.60 x 8.00 x 14.50 cm / 6.14 x 3.15 x 5.71 inchescolor: silver blackMaterial: metal ABSPackage Contents: 1 x Car Tire Air Comp. 1 x High-speed Sander Polisher. -Orbital design, a wide range of applications. Application:polishing, waxing. -Widely used in furniture industry, mold industry, product parts and other smooth surface finish grinding. Two 1/8" NPT nickel plated brass air tank fill valves. 2 x 1/8" NPT Brass Air Tank Fill Valves. These valves are made from nickel plated solid brass and include the core and plastic valve cap. Material: Brass.